Ride in style, comfort and convenience with your Nova Transport Chair. 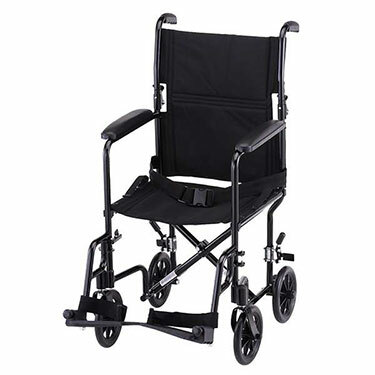 Much lighter and more compact than traditional wheelchairs, transport chairs allow the user and care giver greater freedom with life's daily adventures. Available in black, blue and red. Back Height from Seat: 20"
Excellent product. Easy to fold and easy to lift into and out of car trunk.